Businesses of all sizes need to stay on top of their inventory to avoid falling victim to risks like damage, theft, and missing inventory. Whether it is a disorganized warehouse, an employee with bad intentions, or overhandling, there are so many ways that you can lose inventory—and your profits can take a significant hit. Thankfully, warehouse management systems can go a long way toward keeping such risks to a minimum. 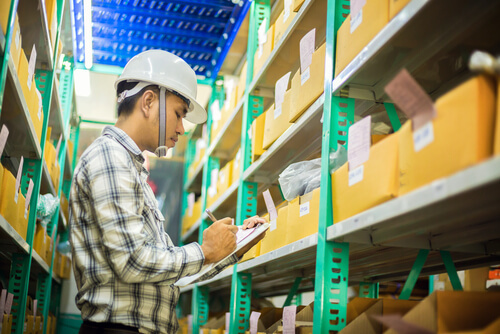 For example, the proactive cycle counting systems that warehouse management systems provide can make it far easier to notice when items are going missing. This can help you to identify employees who are pocketing items and address it before it becomes an even bigger problem. It can also stop inventory from essentially disappearing in remote areas of your warehouse because of poor organization and cleaning. In addition, many warehouse management systems can integrate with enterprise resource planning software to help you make sure that all of the products that are ordered from you are received accurately. These systems are also useful for keeping damage at bay thanks to their ability to effectively route orders. Rather than transferring products to several different bins and having them carried back and forth by various team members, the systems can keep travel time and touches to a minimum, thereby reducing the changes of products getting damaged during handling. Moreover, many of these warehouse management systems support quality assurance processes that can help you to spot damaged goods before you send them out and harm your reputation. Although such systems do require an investment, the savings can be substantial; unchecked inventory threats can lead to millions of dollars of losses for businesses each year. By enacting a reliable management system now, you can help make sure that more of your products make their way to customers—a winning scenario for all parties involved!